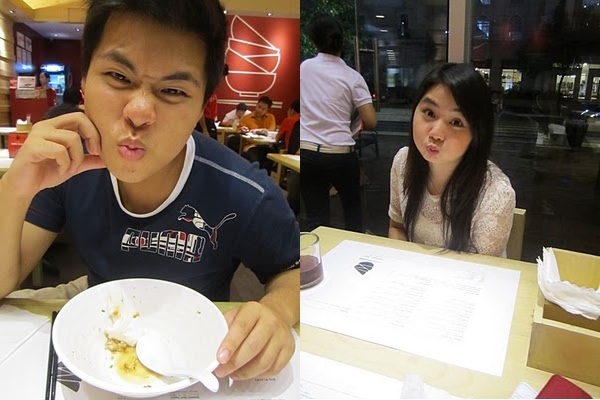 We finally got to try Ramen Bar in Eastwood after a day of eating gelato ice cream and soft-serve ice cream. I was not quite hungry from the ice cream I consumed that afternoon so I thought D and I would just share a bowl of ramen. The place was packed that night but customers patiently wait outside until finally getting themselves a seat. You could hardly see a table unoccupied since after a group comes out, new customers are taken into their seats. Pictures of cartoon drawings framed and hung on the wall reminded me of Anime. They printed their menu into the placemats that gives every customer the chance to browse through the menu all at the same time. The waiter recommended their best-seller which is the Kakuni Buns (P180)- tender pork belly wrapped in soft white buns with japanese mayo dressing. They were excellent and the delicate softness of the pork really melts in your mouth. I mentioned previously that we decided to share just one bowl, but all their choices were tempting that we decided to order one for each. I ordered the Chasyu Curry Ramen (P320) which is not listed on their menu but written on a blackboard signage near the kitchen instead. This was basically Chasyu Ramen that has a curry based soup. Chasyu slices were overflowing and their version of tamago was really good! The soft boiled egg marinated for 48 hours explained the softness of the tamago. I really love how the yolk remained firm yet watery soft at the same time. The curry soup gave the ramen a kick of spiciness in it. D got the R.B.S #1 (P380) which I think is one of their house specialty. It had all the toppings they offer such as tamago, chasyu, kakuni-braised pork belly, naruto-fish sticks, nori-dried seaweed, and negi-spring onions. The noodles were firm and cooked to perfection. It was not too heavy to eat that we were surprised we finished the 2 big bowl of ramen that we ordered. Trust me, servings were really big, I tell you. One order could be shared by two but we managed to consume everything. And to cap off a tummy-warming meal, we ordered the one and only dessert they offer- Tempura Ice Cream (P120). I was hesitant to order one at first because we just had enough ice cream for a day. But then again, temptation kicked in. Seriously, who would resist this?? The perfect combination of hot and cold. In just a matter of seconds, it was gone. 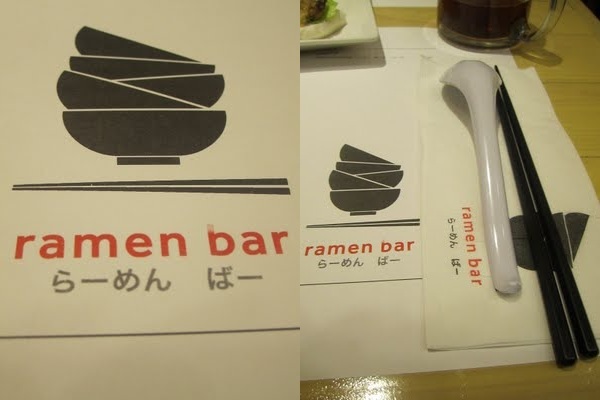 A recommended place for all ramen lovers! Can't wait to bring my family here. It's so nice to see people actually noticing my drawings :) Thank you so much!